The 6th International Conference on Bridge Maintenance, Safety and Management (IABMAS 2012) will be held in Stresa, a renowned resort town located in a charming position on the western shore of Lake Maggiore. The Conference venue includes Palazzo dei Congressi and Hotel Regina Palace. Palazzo dei Congressi is a modern Conference Centre located in the centre of Stresa, that will host the theatre/auditorium room for plenary sessions, the conference rooms for technical sessions, and the exhibition area. 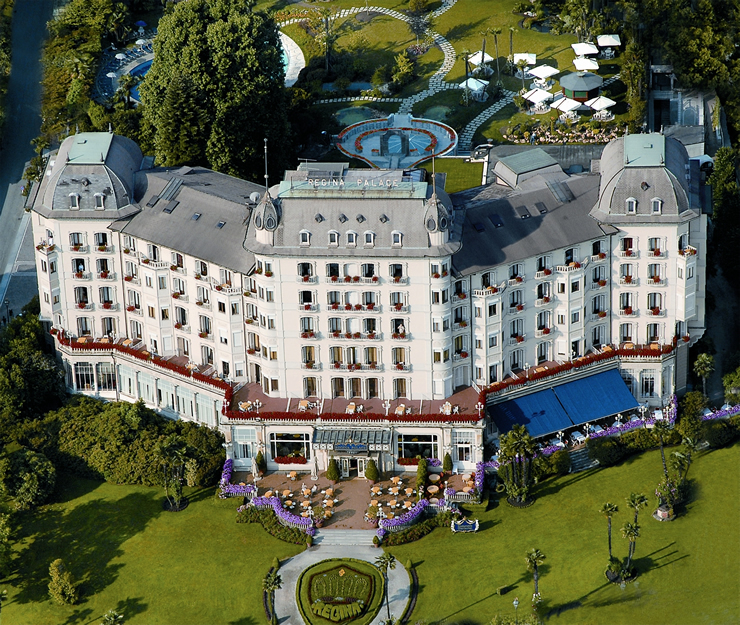 The adjacent Regina Palace, a luxury hotel directly facing the lake and Borromean Islands, will host the conference rooms for committee meetings and halls for the social program. Regina Palace, opened in 1908, is an Art Nouveau building that still preserves its fin de si�cle fascination, even though it has a renewed appearance as a result of a meticulous, albeit conservative refurbishment programme leading to a unique combination of charm and modernity. Its century-old park , endowed with a private pool and a tennis court, forms an integral part of the Conference venue environment and will offer a chance to relax during the conference breaks.